In this clip from the series Rusty Rivets, it's the battle of the megadrones! Watch as Rusty and Frankie Fritz battle it out using their drones! Join Ruby on stage as she sings with the Rustettes in a special performance, in this clip from the series Rusty Rivets! Meet Tigerbot, Rusty's modified pet Tiger! Choose some interesting colours and textures using the Nick Jr. Colour Tool so that you can combine it and design it! In this clip from the series Rusty Rivets, Rusty and Ruby are having a blast on their new roller coaster, when they realise they forgot to put brakes on! XMake Rusty Rivets Lightning Bolt Biscuits! In this clip from the series Rusty Rivets, Rusty is helping to rescue the Ninja Fish's children by distracting the playful octopus! In this clip from the series Rusty Rivets, Rusty helps Santa to deliver all of his presents in time for Christmas! Ranger Anna and Liam are stuck in a cabin under the snow! In this clip from the series Rusty Rivets, Rusty and Ruby call upon Botarilla to help rescue them. If you want to get the proper Rusty Rivets look you'll need his goggles! Print out this template and 'how-to' guide, then watch the video on the Party page. Rusty and Frankie Fritz battle it out in a race of speed in this clip from the series Rusty Rivets! In this clip from the series Rusty Rivets, Rusty and Tigerbot go to rescue the bits from a giant pyramid! 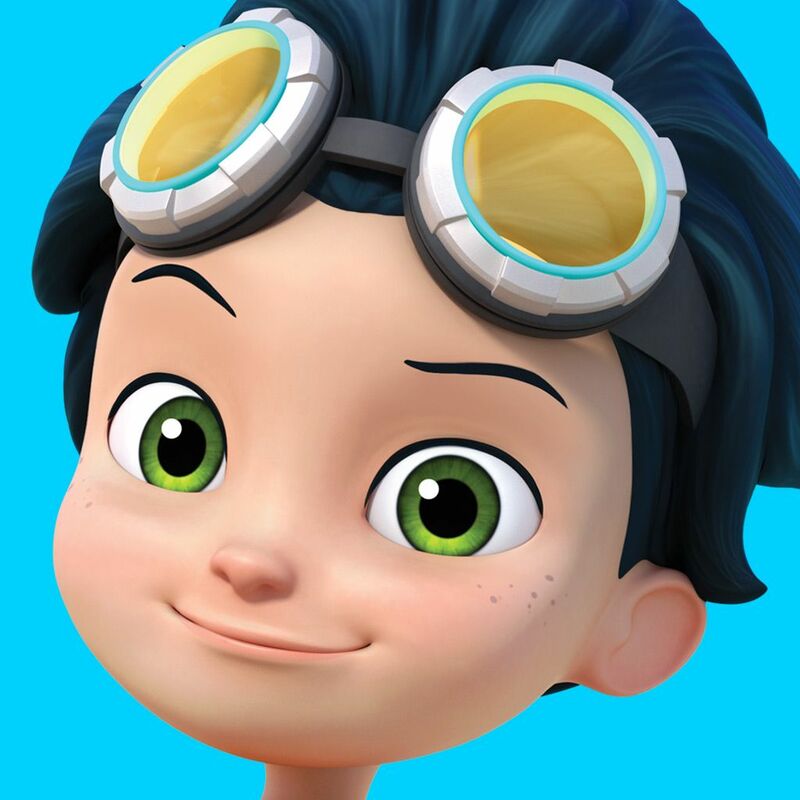 Watch Rusty Rivets on Nick Jr.!